Would you like to arrive on your wedding day in the latest Black Chrysler 300C Luxury Stretch? 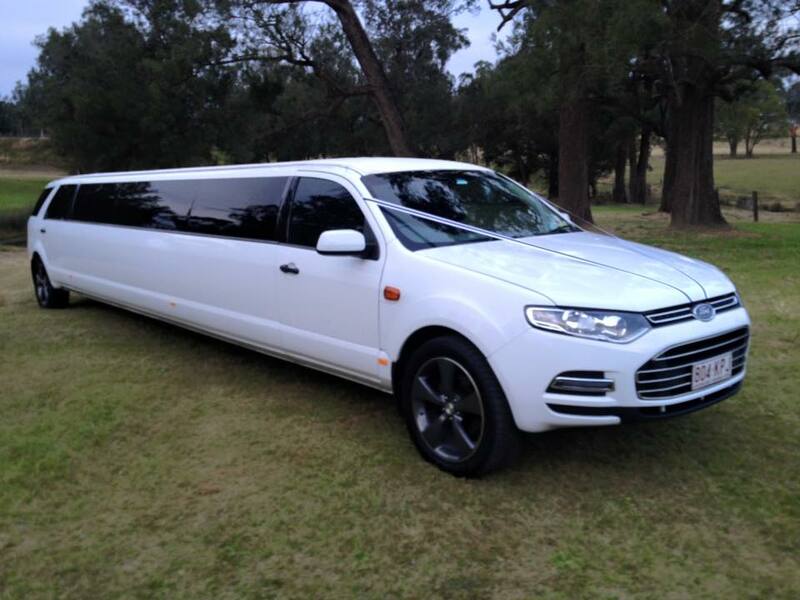 Luxury Super Stretch is the very first Australian Built 13 passenger, multi door and licensed to carry 12 in the back. The 9.5 metre luxury Super Stretch’s combination of genuine leather seating, modern bar facilities, the latest in sound equipment, with iPod connection, air conditioning and innovative lighting makes this a sure winner for epitome of style for any occasion. Article by Oakcorp Extreme Super Stretches dedicated to enhancing weddings for today’s couples . Your wedding vehicle should be luxurious and confortable and make a stylish entrance with all the romantic trimming of ribbon, tulle interior, champagne and red carpet on arrival. With the largest range of modern vehicles available there is something for all occasions and with Oakcorp Extreme Super Stretches a SMOOTH JOURNEY WILL BE ASSURED providing a professional friendly chauffeur and the comfort and class of its elite and luxurious fleet. It is the perfect way to arrive on your wedding day – leaving you stress free as you prepare to walk down the aisle. On your wedding day with attention to detail your chosen luxury vehicle is washed and detailed with carpets vacuumed, glasses polished and tyres blackened – our team make sure that your vhicle is well prepared for your special wedding day – the ribbon, of your choice is on and the satin tulle and lace headrests are in place. As punctuality is essential, on your wedding day, your Chauffeur in black suit and cap will arrive in the time previously allocated by you ready to transport you to your ceremony. After the ceremony it is on to photos – in your vehicle the Champagne and water awaits you on ice, so you can relax and enjoy the ambiance of spending a day in one of these amazing vehicles. The chauffeur has previously researched all your special photography spots and you have only each other to worry about. Finally you have the timely arrival at your reception and the rest of your evening to look forward to. With attention to detail highly rated, for the full benefit of all our special brides Oakcorp Extreme Super Stretches’ prides itself on dedication to excellence of transportation for today’s brides. Melbourne Cup – A day at Corbould Park Race Club and Brisbane Eagle Farm Race Track. With plenty of fashion, fillies, champagne and horseflesh, you won’t want to miss it. First Congratulations on your engagement. What to plan first? That is the question. Brides often say to me, “I am not sure what to do first?” They find the whole thing overwhelming, and it is! So this is where I come in. The three most important things to immediately organise are : The Location for the ceremony’. Will you choose a church, a park, or beach? The next step “The reception” You need to lock this in. Sometimes the popular venues are booked out 12months to 2 years in advance. and whether it be a Limousine, or a hire drive it yourself. This is an incredibly important step to help make your wedding day a stress free affair. The photographer has his own special locations around the city which are perfect for those very special wedding photographs to keep forever, and of course the ceremony is way across town, because it is the venue the couple have always wanted. The importance of booking your wedding car is due to the fact, that there are only so many cars available. Think of it. – a wedding party on wheels – very private and personal. The perfect way to spend a wedding day. Often Brides plan a beach wedding. And although it is always sunny around the time you have booked , you can never control the weather, and can often rain on a Brides special day. The photographer now, has to change the spot for the shoot – this is where the chauffeur comes in very handy. Instead of five family friends, driving everyone around in the rain. All wondering where they are going, your group just hops into the limousine, sits back, enjoys a champagne and allows the driver to take you to the photo shoot on time. Often when I am speaking to brides they might say ” I do not need a limousine my uncle has offered us a car to use on my wedding day” That is a great idea! – hey, my sister-in-law and her boyfriend ,at the time, had two matching cars and were very suitable for our wedding – we had to find two drivers for the day(friends) that could not have a drink on the day and my husband to be ,spent the morning washing and cleaning both vehicles to get them ready. All valid reasons for not wanting you to borrow their car. But, this does not help you to get to the church on time. Does it? from our chauffeurs, we have to say it is the beautiful people we meeting that allow us to be apart of their very special day, that make it all worthwhile. We would like to share the many thanks yous we have received. I just wanted to write and thank you for your exceptional service for our wedding on the 7th May. My bridal party got out of your limo shouting your praises for your service that was above and beyond what we expected for the day. It was fantastic service and we really appreciate the extra effort that was applied. The car looked great inside and out the lighting and music was a big hit, very proffestional service, and we just cant thank you enough for making our wedding day that extra bit special. Thank you again and I hope to use your services again soon! Just a little note to Thank Rob very very much for being the perfect gentleman and the best limo driver for our wedding that we just had at Bribie Island Please pass our Thanks to him. I just wanted to pass on a HUGE thank you to everyone for all your efforts and hard work for Steph and Gavin’s wedding. They were thrilled with how the day was, and have said it was everything they had dreamed of. Just wanted to thank the Limo driver we had for my Wedding on May 23rd. He was such a true professional and really made the day extra special. Everyone raved how good he was and nothing was too much trouble. He knew what he was doing the entire time and helped us out with little problems we had. I believe he even helped stitch up a bow on one of my Bridesmaid dresses. I cant express how happy we were with him.